Minimally invasive sinus procedures are nonsurgical (you don’t need an incision), so they can be done in the office, and you’ll recover quickly. 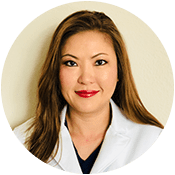 Dr. Kathy Yu-Syken, at OCEANN, specializes in minimally invasive procedures that safely and effectively treat sinus conditions, such as chronic sinusitis. If you have questions about the methods available or whether you might be a good candidate, call the office in Huntington Beach, California, or book an appointment online. What is a minimally invasive sinus procedure? Minimally invasive surgery involves specialized medical tools, like endoscopes, that access structures inside your body using tiny incisions. But when Dr. Yu-Syken performs minimally invasive sinus procedures, she doesn’t need to make any incisions. She gently guides small tools through your nose, easily reaching all the structures inside your nasal cavity and sinuses. With minimally invasive procedures, you have significantly less tissue damage, less pain, and a quicker recovery. Sinus balloon dilation, or balloon sinuplasty, is a minimally invasive procedure used to treat chronic sinusitis. Using cutting-edge balloon dilation devices, Dr. Yu-Syken guides the device through your nose to the blocked sinus. When the tool is in place, the doctor inflates a balloon at its tip. The balloon stays inflated for a brief period, causing enough pressure to reopen the blocked sinus. The doctor then deflates and removes the balloon, but the sinus stays open for up to two years. When you have surgery to cut away tissue and open your sinuses, the passages are packed with gauze or dissolvable nasal packing to stop bleeding and discharge. With minimally invasive balloon dilation, you don’t need gauze or nasal packing. What is the Propel® sinus stent? The Propel steroid-eluting stent is a tiny, biocompatible device Dr. Yu-Syken places in the sinus opening after balloon dilation. As the stent physically supports the opening, it slowly releases steroids that help prevent scarring and inflammation during the healing process. The stent promotes healing, helps keep the sinus open for a more extended period, and prevents sinusitis from recurring. After 30-45 days, the stent dissolves and leaves your body. Turbinates are structures inside your nose that contain bone and soft tissue. The turbinates can become enlarged and swollen when you have an upper-respiratory infection or allergic rhinitis. Enlarged turbinates can cause ongoing congestion. When medications fail to shrink the turbinates, Dr. Yu-Syken performs one of several minimally invasive procedures that effectively reduce turbinates without removing the structures. If you have questions about minimally invasive sinus procedures or need help with nasal congestion or infection, call Oceann ENT or book an appointment online.